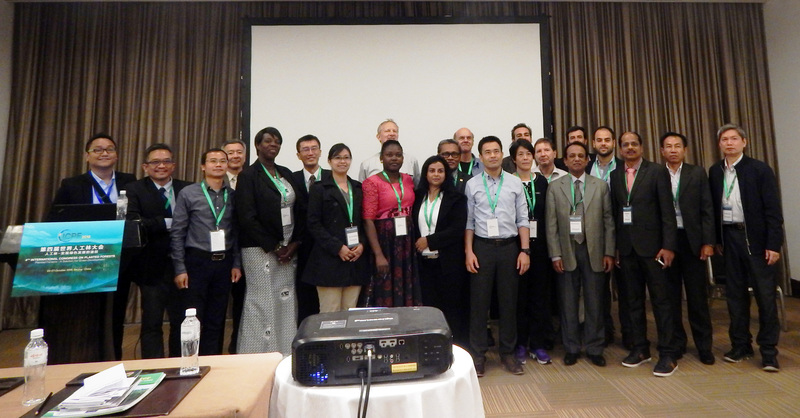 Experts from the Asia Pacific region and from overseas converged at Widus Hotel on 24 February, to discuss the way forward in promoting Teak (Tectona grandis) as one of the major high-value tropical timber species. Due to a significant decrease of log supply from natural teak forests reported from Myanmar, caused by overexploitation and land conversion to agriculture, coupled with high demand, interest and investments in establishing and managing teak plantations in many tropical countries has notably increased. Against this background a Global Teak Support Programme is currently being designed by IUFRO, TEAKNET and FAO with the objectives to conserve the existing natural teak resources for future genetic breeding programmes and planted teak for sustainable management was presented by Dr. Michael Kleine from IUFRO headquarters, Vienna. The Session was attended by over 25 participants and five papers were presented.